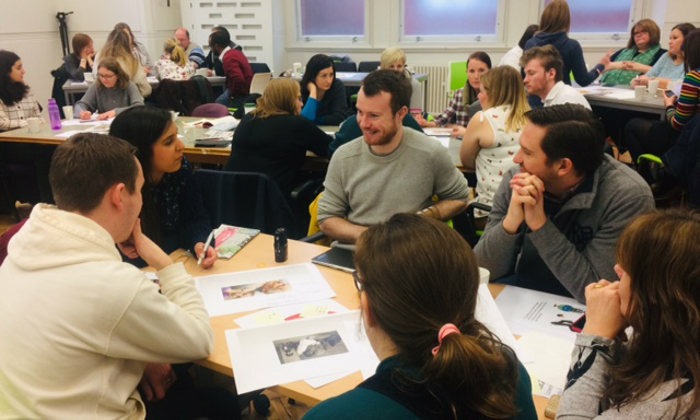 On Tuesday, 29 February the Faculty of Science and Engineering's Science and Engineering Education Research and Innovation Hub (SEERIH) hosted 30 primary teachers from schools in areas of social disadvantage from across Greater Manchester, for the Greater Manchester Engineering Challenge (GMEC) Immersion Event. GMEC is sponsored by the IET and IMechE, and is an innovative campaign reaching out to engage teachers and pupils about engineering design process, and get them involved in practical engineering challenges. Involving academics and postgraduate engineers from the University, including Professor Lin Li (FSE), Helen Dobson, Becan Lawless, Cara Mulholland, Yongjun Dong, Tunde Okedara (School of MACE) and industry engineers from Siemens, the day was successful in seeing SEERIH staff offering high quality professional learning for teachers demonstrating practical ways to infuse engineering into the mainstream school curriculum from a young age. This event is fundamental in helping to put theory into practice, taking SEERIH’s research into Tinkering-for-Learning to wider audiences across Greater Manchester and nationally. The day was a great success, with teachers bursting with enthusiasm to get back to school to apply what they learnt on the day with their pupils. “It was great to be find out more about the project, as it fits with the work our school is wanting to develop. We can’t wait to get the children involved now and let them come up with some solutions to real life issues like homelessness, plastics and loneliness!” (Teacher, Christ the King Primary School). It also offered a fantastic chance for the Faculty of Science and Engineering to engage directly with teachers in the local community, sharing knowledge, research and insight about engineering as a career. GMEC continues with a competition day being held in Sackville Street on Tuesday, 19 March 2019. If you are a school governor or linked to a local school, then you can still take part. Find out how by visiting the webpage or email fascinate@manchester.ac.uk. Follow us on twitter @UoMSEERIH #GMEC19.